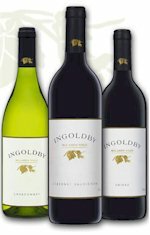 Since inaugural release Ingoldby have enjoyed a stunning run of success at national wine shows. It was in 1973 that Jim Ingoldby finally adorned the label of traditional McLaren Vale wines with the family name. 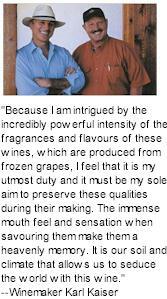 From the outset Jim and his Ingoldby wines were unashamedly proud of their McLaren Vale heritage. The region is often referred to as the middle palate of the Australian wine industry. The Ingoldby's innate skill at managing vines and soils which they have husbanded for generations yields splendid fruit with concentrated flavours. Their fruit has been the secret ingredient in many of Australia's most cherished wines. Ingoldby's Cabernet is highly valued and still sought by some of the nation's most popular brands. Inniskillin's vineyard is called 'Brae Burn' a name of Gaelic origin which translates literally as 'hill stream' referring to the Niagara Escarpment and River. The historic Brae Burn Barn, constructed in the mid-1920s, houses the winery boutique. The main floor consists of the retail wine boutique and tour centre, while the upper level loft, maintained in its original open-beamed structure, features a training centre and demonstration kitchen for guest chefs, and a gallery. Innocent Bystander don�t make single vineyards wines, but they do know that great wines need great fruit, so they source the best grapes they can from some of the top vineyards in Yarra Valley. If there�s a variety they want to make that doesn�t grow well in the valley, they'll go to where the quality fruit is. Their winemaking team treat every parcel of fruit individually to ensure the outstanding varietal characters shine through in the finished product, showing off the very best of the region and sites they represent to make flavoursome, balanced and delicious wines. Irvine is a family name and a family business - the name at the front of the years of hard work and dedication put in by all at Springhill in the Eden Valley, Jim and Marjorie Irvine and winemaker daughter Joanne. 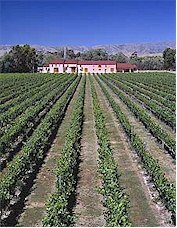 Prior to the 1994 vintage, Proprietor Michael Tiller, then an airline pilot with Air New Zealand, together with his wife Robyn, operated Isabel Estate successfully as a contract grape growing vineyard supplying some of Marlborough's leading wine producers with much sought after premium fruit.